Names are given to all individuals to make them distinct and recognizable from one another. Some names remind people of good deeds while others reek of crime. While there are probably hundreds of people in Japan that are named Ken Mizuno, this name actually became infamous in the 90s due to a man of the same name. The name Ken Mizuno became the part of headlines in newspapers back in the 90s due to his crimes not just in Japan but in the US as well. Serving as the face of a mafia in Japan on the west coast until the year 1990, Ken Mizuno was previously a baseball player. While he was an okay baseball player, Mizuno was only able to gain a reputation thanks to his connection to the Yakuza. The Yakuza is the term used to describe mobs or mafias in Japan. Ken Mizuno’s name first appeared in Las Vegas in the year 1982. It was when he attempted to get a liquor license for a Japanese restaurant located in the Tropicana Hotel and Casino. Based on the report made by the Las Vegas Valley Times, Mizuno came into the US carrying traveler’s checks amounting to $3 million. On the other hand, there was a claim by the police that Mizuno actually also had Yakuza money amounting to $100 million at his disposal. Due to these issues, several parties objected to Mizuno’s acquisition of a liquor license. These parties included the police and other law enforcement officials. However, this did not stop Ken Mizuno from attaining his liquor license. From the year 1988 to the year 1991, Mizuno was flying back and forth between the US and Japan. Oftentimes, he would be bringing in several of his friends from Tokyo. Mizuno was also known to gamble away millions of dollars. Also during the late 1980s, Mizuno was purchasing several lands across the Pacific and developing them into resorts and golf courses. Some of the golf courses that he bought included the Royal Kenfield Golf course in Henderson, Nevada and the Olamona Golf Links in Hawaii. Still, the Indian Wells Golf and Country Club located close to Palm Springs California remained to be his favorite, which was also the PGA tour stop. Based on the gambling records acquired by Yomiuri, a newspaper company in Japan, Mizuno was a frequent visitor of the Mirage between December of the year 1989 and October of the year 1991. In fact, he visited the casino 29 times during this time span. Later on, Mizuno amassed losses amounting to $65 million under the name of Thomas Anderson. Even then, it was said that this amount of money was not actually Mizuno’s to spend according to law enforcement officials. Apparently, one of the greatest frauds committed by Mizuno included the Ibaraki Country Club, which was located just outside of the Tokyo metropolis. Mizuno promised potential Japanese clients that in exchange for purchasing a membership worth $14,000 per head in the country club, they would be allowed to play at any time in the casino. This was in the year 1988. However, the rates always increased with every new offering. Still, this marketing strategy was a complete success, with Mizuno’s company selling around 52,000 memberships. What the clients did not anticipate, which also became a problem, was that the club was actually only able to accommodate 1,830 members. Nonetheless, the sales that the company made were able to generate $800 million. According to police reports, more than half of these sales were utilized to purchase resorts and golf courses. In the end, most of the money was spent in Nevada, Hawaii, and California. 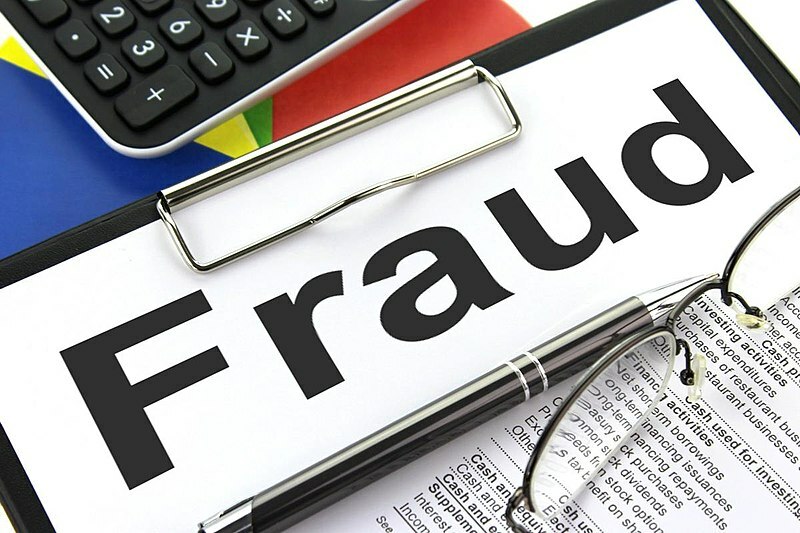 Having found out about the scam, several clients who were fooled by the scam of bogus memberships gathered in groups. Together, they hired notable lawyers and filed a case against Mizuno and his company. Aside from civil lawsuits, Ken Mizuno also faced criminal charges later on. He was under investigation not only in Japan but in the US as well. Eventually, he and his company pled guilty to said charges that were filed against him. He was forced to forfeit the assets of his company to the US government. These assets included the Indian Wells resort. At the time, his case was the second biggest forfeiture case in the history of the US that was not related to drugs. The sale that resulted from this case amounted to $50 million, which was paid to the victims of the scam in Japan. At the age of 63, Mizuno was convicted of tax evasion and fraud in the court of Japan in March of the year 1997. He was sentenced to 11 years in prison. Mizuno’s company called Ken International Co. was forced to forfeit around $65 million in US assets after the exposure of the crimes that Mizuno committed. This was only a part of a plea bargain on the criminal charges filed against him. 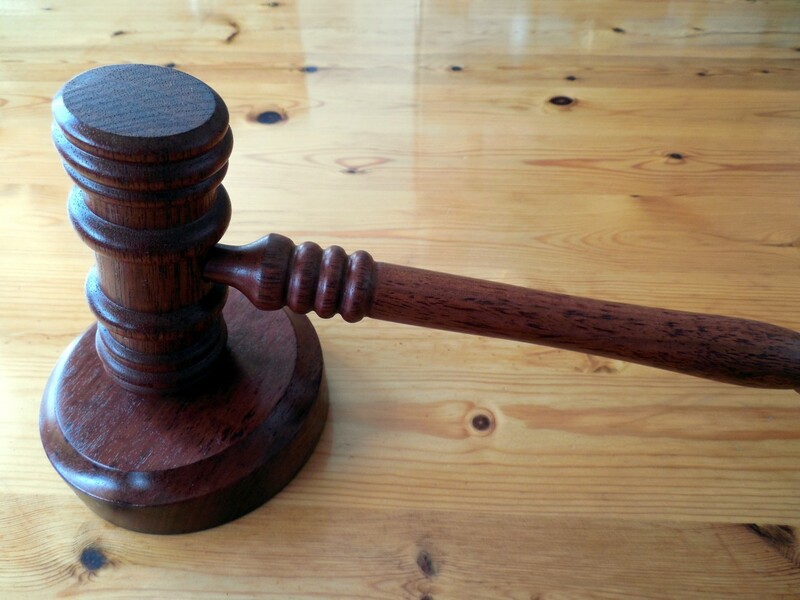 He pleaded guilty to money laundering amounting to millions of US dollars. These were made through expensive real estates in the US. Based on the statements made by federal prosecutors, Mizuno used his company to move $265 million from his homeland to the US from the year 1989 to the year 1991. He faced charges not just in the US but also in Japan for tax evasion and fraud. His estates in the US were acquired fraudulently through overselling club memberships to Japanese clients. From those funds transferred from Japan to the US, $100 million was used to pay for the purchases made by Mizuno. These purchases included the Indian Well Country club and Hotel worth $52 million, the Royal Kenfield Country Club worth $10 million, a condominium located in Beverly Hills, California worth $2.3 million, a house worth $2.8 million, a private DC-9 jet, and a vacant lot plus three houses located in Hawaii. After the court proceedings, it was decided that around $10 million would be given to US creditors. On the other hand, around $43 million would be paid to the victims of fraud by Mizuno. Furthermore, 10 percent of the asset sales including the costs made in court would be given to the government of the United States. There was still the remaining $165 million that remained in the US at the time. What happened to this huge sum of money was under investigation. From the year 1989 to the year 1991, it was reported that Mizuno gambled away almost $60 million at baccarat tables in Las Vegas by the Las Vegas Review Journal. Another Ken Mizuno that one may find worthy of getting to know of is one that works in Halekulani Corporation. While there is little known about this Ken Mizuno, the company he works for is quite famous, especially in Waikiki. In Halekulani Corporation, Ken Mizuno works as the Director of Projects. Comprised primarily of two assets, Halekulani Corporation was founded in the year 1980. It is a wholly-owned subsidiary of the biggest real estate company in Japan known as Mitsui Fudosan Co. Ltd. This company has a legacy that goes back to numerous generations. Halekulani Corporation operates two establishments in Waikiki. These establishments are recognized hospitality properties of Halekulani. They are well-known globally and have their own great reputations to uphold. The older hotel Halekulani underwent complete redevelopment in the early 1980s. At present, Halekulani Corporation directly handles both famous hotels. 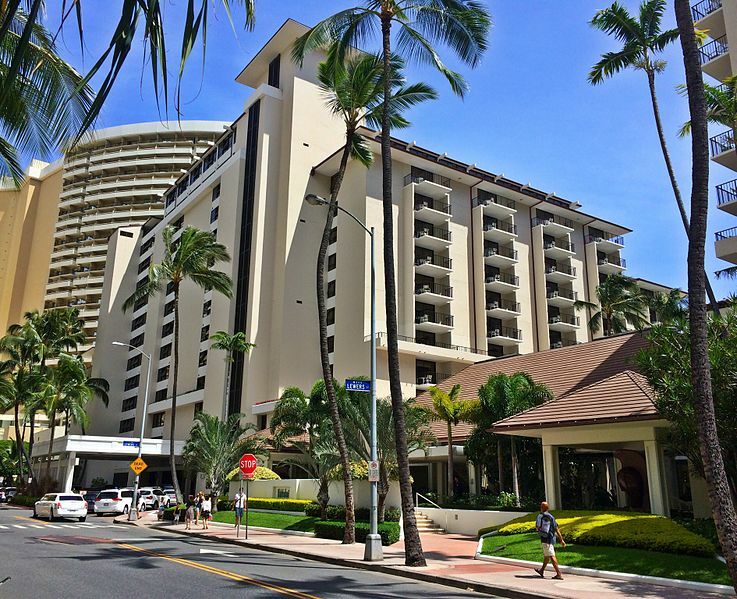 The headquarters of Halekulani Corporation can be found in the heart of Waikiki. Key operating areas are handled in the headquarters. These include finance, development, marketing, projects, asset management, sales, public relations, and quality control. Halekulani Corporation is also known as among the strongest supporters of local culture and arts of the City and State. At present, the company is looking for opportunities for selective development not just domestically but internationally as well. They are looking into adding luxury properties under the Halekulani brand. They see this as one of the possible futures under the management of Halekulani. The philosophy of the company surrounds around the goal of providing every guest of the hotel with the highest possible standards in terms of service and quality. At the same time, it aims to celebrate the culture and indigenous surroundings offered by Hawaii. It also wishes to reflect the famous aloha spirit of the islands of Hawaii. Halekulani began only as a collection of guest bungalows in the year 1917. Through the years, the company underwent several transformations and grew to become among the most acclaimed destinations in Hawaii. In the year 1984, the new Halekulani Hotel opened and welcomed guests from all over the world. Three years later, the company opened another hotel called the Waikiki Parc Hotel, located just across Halekulani. The company has several attributes under its brand. For one, its reputation in terms of product and service is unrivaled in the international luxury industry. Moreover, the brand itself guarantees a guest experience that is supreme, high-value, and unlike any other. Halekulani is also known worldwide as a classy resort. Its guest retention rate when it comes to loyal international clientele is also outstanding. The company is also recognized as a pioneer when it comes to industry product, marketing, and services. The culinary programs in Halekulani are also recognized internationally. Hence, it comes as no wonder than Ken Mizuno prides himself as part of the Halekulani Corporation. As part of the directors within Halekulani Corporation, Ken Mizuno knows about the overviews of both hotels under its management. 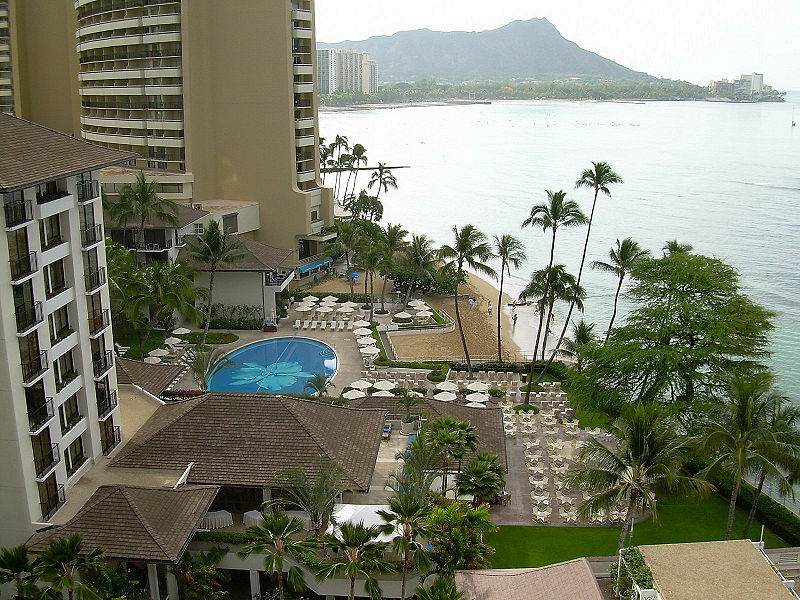 The Halekulani Hotel is situated in the heart of Waikiki, Hawaii. It provides that sophisticated and luxurious aura to its guests. Its doors are open to all kinds of travelers who wish to find respite and relaxation in the resort. Aside from its lavish accommodations, the hotel also offers stellar cuisine that would fill the appetite of its guests. The hotel contains 453 rooms and has served different kinds of travelers from all over the world. Because of its spectacular products and services, numerous celebrities have visited the hotel to experience what it has to offer. The hotel houses the famous Halekulani Suite, which was designed by well-known designer Vera Wang. The suite has an area of more than 2,000 square feet and offers the view of Waikiki Beach and Diamond Head. Another great feature of the hotel is its signature restaurant called La Mer. For over 20 years, the restaurant has garnered the AAA Five-Diamond Award. It serves neoclassical French cuisine that people would surely enjoy. The hotel also offers non-GMO cuisine as well as meals that contain zero trans-fat. The other hotel handled by Halekulani Corporation is the Waikiki Parc Hotel. It is like the contemporary counterpart of the classic Halekulani Hotel. While it may not be as grand as the Halekulani Hotel, the Waikiki Parc Hotel still exudes that sophisticated vibe. It is designed to offer sophisticated products and exemplary services to its guests. It caters to several types of lifestyles and expectations of travelers from around the world. Aside from its bold style, the hotel also offers extraordinary culinary cuisines that would suit to any taste bud. The hotel features 297 rooms that offer cleanliness and sophistication. It also features a business center, an exclusive fitness center, a full-service front desk, and a beautiful cityscape pool. Indeed, visiting Waikiki in Hawaii may not be complete without dropping by any of these two hotels. The two Ken Mizuno’s mentioned may offer great insights to readers. The first Mizuno shows how important it is to work legally and with integrity. After all, every action comes with a consequence. On the other hand, the second Mizuno shows what some establishments can offer to its clients, like the Halekulani Corporation. Every person, after all, needs a place where they can relax and unwind.